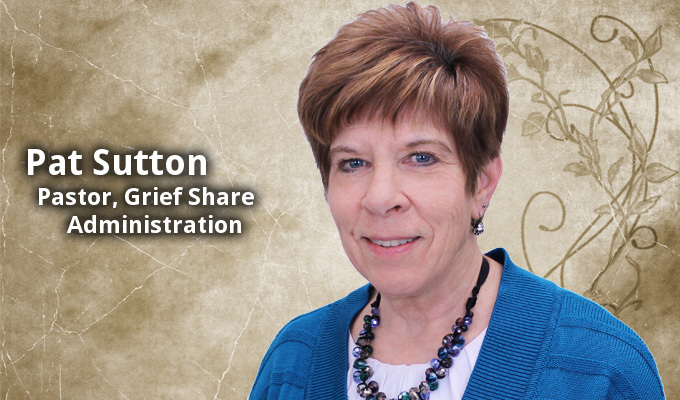 Pastor Pat Sutton took the position of Church Administrator at South Hills Assembly in July 1997. She left an administrative position in the office of data management at the University of Pittsburgh where she was employed for 11 years. In her final position, Pastor Pat was responsible for 30+ employees in the field of cancer research. She was highly respected for her professional work in management. As Church Administrator Pastor Pat’s responsibilities include oversight of building and grounds maintenance and of most building and remodeling projects, supervision of the secretarial and custodial staff and management of several church budget areas. Volunteer ministries under her leadership include the Altar Communion Servers, Tape Duplicating Ministry, Grounds and Landscaping Ministry and Pew Restocking Ministry. She is the pastoral leader in our grief support ministry, GriefShare. Pastor Pat was credentialed in November of 1998. Long before the Lord called her into the ministry, she began attending South Hills Assembly and over the years was involved in several areas of ministry. She has been Co-Director of the Puppet Ministry, a Kids Kamp Counselor, a member of the Video Camera and Sound System Operation teams and a musician in the church orchestra playing French horn. She volunteered for 2 years as a "Big Sister" through a program with Youth Guidance and was a member of a support program for families in the adoption process through the Bair Foundation in New Wilmington, Pa. She also served as vice-president and speaker for the Western PA Parents for Overseas Adoptions for several years before, during and after the adoption of 5 of her 6 children. Pastor Pat studied psychology in her undergraduate work at the University of Pittsburgh, was a trained counselor at the South Hills Crisis Pregnancy Center for approximately six years and has successfully completed eleven Bible college level courses in South Hills Assembly's School of Ministry. It is Pastor Pat's heart to teach people that even when life gets tough -- God is still faithful!